This locally owned 1-owner 2015 Jeep Grand Cherokee SRT arrives in excellent condition with 45,839 miles and loaded with options including Red Vapor Package ($3995 Option), Rear Seat Entertainment, SRT High Performance Audio, Panoramic Sunroof, Trailer Tow Group IV plus a long list of standard equipment to compliment the 475 horsepower V8 engine. 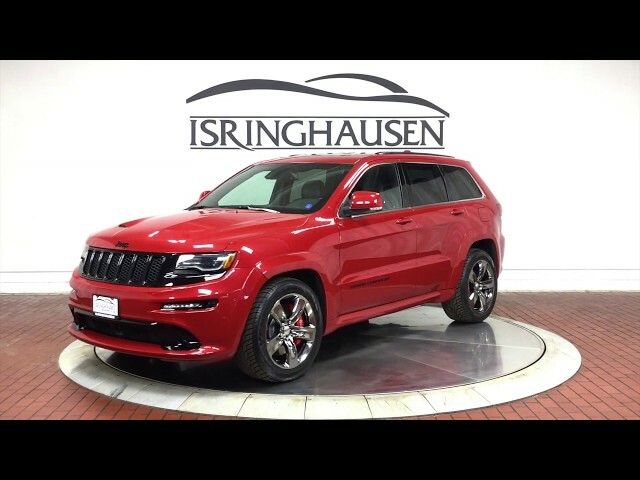 With fantastic build quality, reliability and unmatched performance from a full size SUV, this 1-owner Grand Cherokee SRT is an excellent find. Contact a Pre-Owned sales specialist today by calling 877-362-9715. Isringhausen Imports is Central Illinois' premier new car, used car and certified pre-owned (CPO) dealership for quality BMW, Porsche, Volvo and Mercedes-Benz vehicles. At Isringhausen Imports, we have become a leader in the industry by working each day towards the greater good of our customers, our fellow employees, and our community.